The history of this vibrant community is part of the history of Denver itself as it expanded over the 150+ years of its existence. The actual history of Northglenn begins in 1959 when a large section of land north of Denver was allocated for residential, industrial and recreational use. Founded by the Perl-Mack Co, the amount of interest grew substantially over the next few years and by 1962 over 3,000 homes had been constructed. The establishment of Northglenn became official in 1969 with the formation of the city council and election of Hugh Danahy as the first mayor of this newly formed city. Since that time, Northglenn has grown considerably over the years, adding new services, facilities and building neighborhoods to meet the needs of the community. The lifestyle in Northglenn is relaxed with quiet neighborhoods, beautiful homes and a relatively low crime rate that makes Northglenn an attractive place for many families. The location of Northglenn also makes it quite popular for those who work or enjoy activities in downtown Denver. The close location, accesses to highways and public transportation from busses to railways makes Northglenn an ideal place to live. There are numerous shopping centers, restaurants, and other local retail stores provide plenty of convenience for Northglenn residents. The local flavor also compliments the Northglenn lifestyle as well, making it the perfect place to raise a family. The real estate situation in Northglenn offers a good variety of homes in different size and prize ranges. The location, quality of living and emphasis on creating a safe atmosphere has contributed to the growth of Northglenn, even through difficult economic times. There are a number of attractions that can be found in Northglenn, CO. However, the location of Northglenn may be the biggest attraction for new residents as it is near highways has impressive access to all of the Denver area. Water World is one of the largest family water parks in the US. At over 64 acres, Water World features over 40 attractions with amazing rides that’s perfect for the entire family. In addition to Water World, the Boondocks Food and Fun center is also a popular attraction in the area, featuring many activities from bowling, bumper boats, laser tag and more. Despite being a relatively young city, Northglenn features a number of nearby historical society organizations thanks to its proximity to the well established neighborhoods and regions of Denver. This unique combination of the historic and modern have helped shape Northglenn. 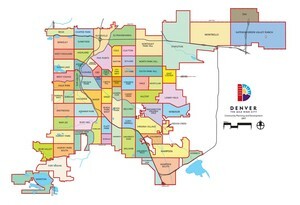 Overall, for those who are looking at moving to the Denver area, Northglenn, CO offers a number of advantages for families who are looking for safe, modern neighborhoods, people looking for employment opportunities and anyone who wants easy access to the main areas of Denver. Northglenn is certainly one of the most attractive suburbs in the Denver area. Courtesy of Ion Real Estate Inc.